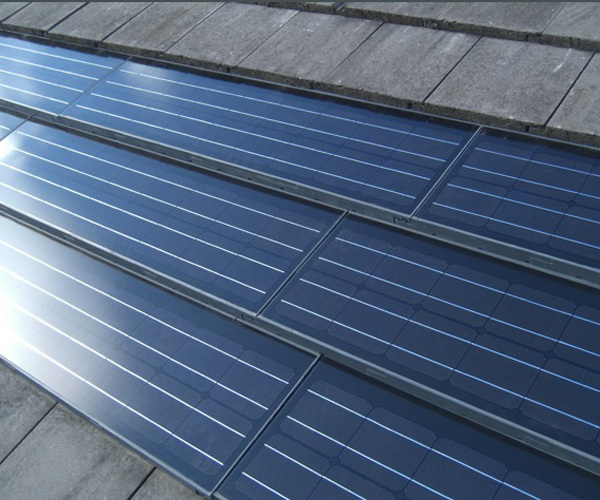 Solar tiles are one of the latest and most innovative energy saving products introduced to the UK market quite recently. Although solar panels have had great success over the past decade, technology has now evolved to a point where a variety of different options are now available to the UK homeowner looking to save money whilst also being eco conscious. It is possible for surveyors to take measurements of what roof tiles are currently in place and have solar tiles manufactured to the same modular specifications to fit into your roof. As well as having tiles made to fit your roof, they also blend in. Solar tiles provide an unobtrusive option to solar panels which design conscious homeowners may favour. Solar Tiles still come in under the government ‘Feed in Tariff’, meaning you can be paid by the government for each unit of electricity your solar system produces or is sold back to the grid. Solar tiles are designed to look like ordinary roof tiles providing an attractive alternative to solar panels which can be seamlessly integrated into your roof. One great benefit of solar tiles is that although they provide the same amount of energy generation as other solar products, they require minimum maintenance. This is because they have no moving parts there is nothing to rust, break down or wear out. Solar tiles are the solution for homeowners, builders or architects who are looking for a different option to solar panels. Solar tiles are easy to install and still fall under the government ‘Feed in Tariff’ initiative, which allows you to power your own home through the suns energy or sell the power you have generated back for a profit. Although solar tiles and solar panels provide the same result, they both have very different benefits which can be tailored to each individual circumstance. 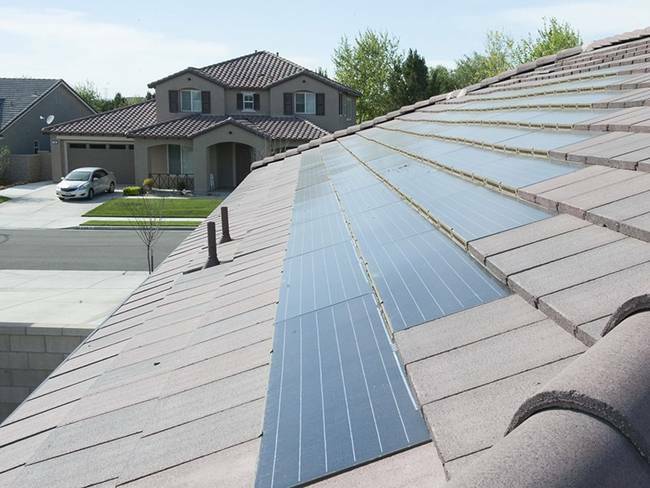 Those looking for flexibility, Solar Tiles can be angled or moved to more optimal positions. Export Tariff: As well as paying you a set rate for energy you generate, your energy supplier will also pay you further for electricity you sell back to the grid. This means you can sell any energy generated that you don’t use yourself. Energy Bill Savings: You will be making savings on your electricity bills by generating your own electricity to use to power appliances. This is a great benefit considering utility bills have doubled since 2004 and are set to rise again since the 80% reduction of carbon emissions task has been put in place to achieve by 2050.